The world's founding university settlement. Built to provide educational & social spaces for East Londoners. 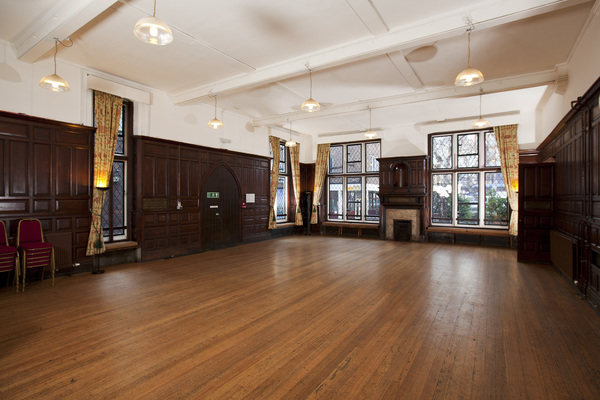 Neo-Tudor Grade II listed building with notable room decorated by Arts & Crafts designer CR Ashbee. Restoration completed in 2018. 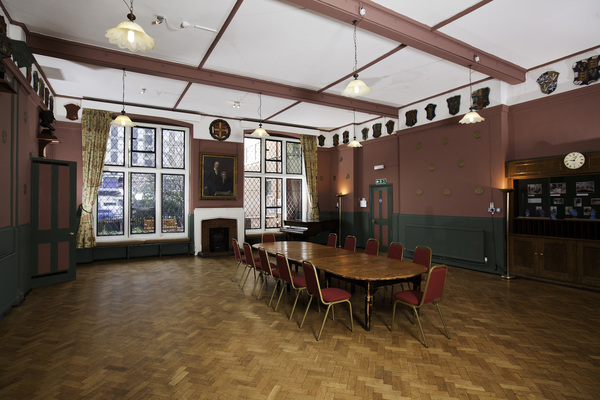 Toynbee Hall was created in 1884 by Samuel Barnett, a Church of England vicar, and his wife Henrietta, in response to a growing realisation that enduring social change would not be achieved through the existing individualised and piecemeal approaches. We work on the frontline in the struggle against poverty. Based in the East End of London we give some of the UK’s most deprived communities a voice, providing access to free advice and support and working together to tackle social injustice. Our youth and older people’s projects, advice services and financial inclusion work are all geared towards supporting those who live in some of the most deprived conditions in the UK. We work with our community not only to support them in times of crises but to move them beyond crises by providing them with the skills and support they need to create a more sustainable future. 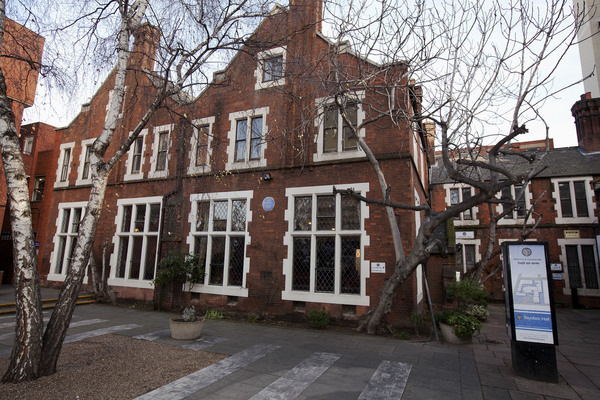 When Toynbee Hall first opened its doors in 1884, the need for help and support was greater here than almost anywhere else in the UK. 130 years later and the community in which we work remains one of the poorest in the UK. With 44% of people in Tower Hamlets still living in poverty, our work is as vital today as it was then. Throughout our 130 years our story is one of pioneering new solutions for poverty, working within our community and giving people the skills and knowledge they need to help themselves while working to influence opinion and to change the systems and policies that affect people today. Our services are free of charge, and every year our residential and non-residential volunteers give us over 4,000 hours of their time to deliver services and engage with communities across Tower Hamlets and beyond.